Since I have moved to the UK, my skin has changed dramatically. Whereas before I had a normal skin type, now I have a very oily skin, which causes me severe acne and break outs, especially around my temples and heaps of black and white heads (!!). I was shocked, especially when I didn't know where it came from suddenly! Thus, I was on the hunt for an improved and suitable skincare regime for me here in London. I have tried several products and I started with Simple. Simply because it was super inexpensive and I didn't want to spend a lot of money on skincare. That was a huge mistake, because Simple skincare did literally nothing, if not, it has made my skin even worse! 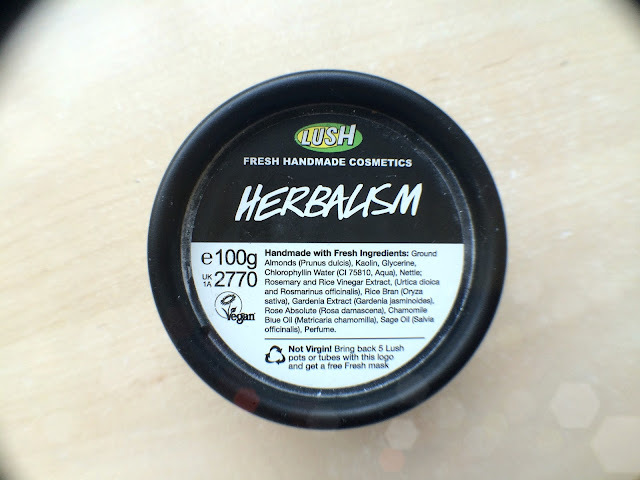 I stopped using it after a short while and during my research I came across Lush skincare products. My impression was they must be all right, you know, since they claim that everything is handmade and use natural products. 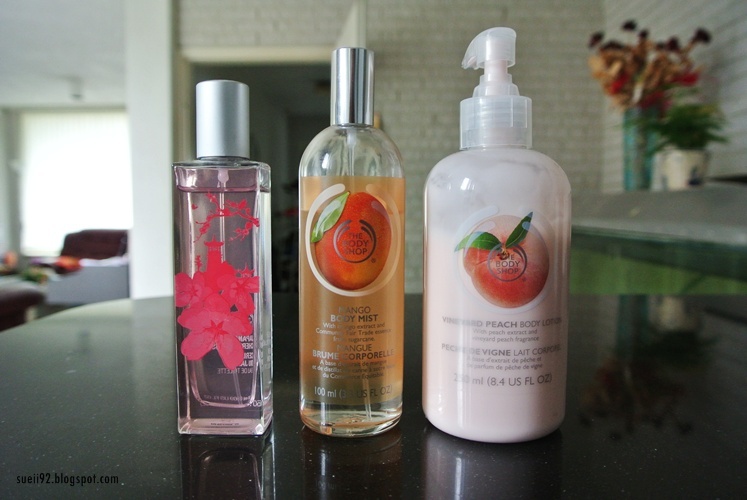 Also the price range was relatively affordable, so that makes it easier to try the products out. 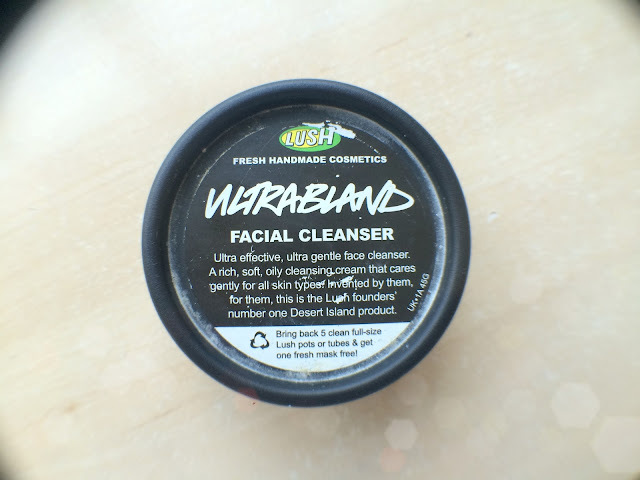 I went to the Lush store several times, one at Bond Street as well as Ofxord Street, to get myself some skincare advice. The girls there were really sweet, helpful, enthusiastic, passionate and knowledgable. So in total I have bought 5 products. I will go over each one and review them. ULTRABLAND. This is a facial cleanser that claims to remove all traces of dirt, makeup without stripping the skin's natural defences away. I have heard great stories about this by a Dutch beauty blogger and I wanted to try it out. 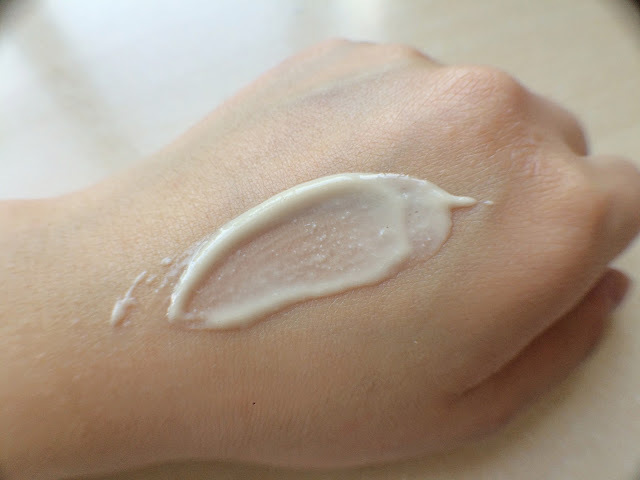 It is beige, white, light yellowish from colour and it feels softer than a balm, but thicker and stickier than a cream. According to the staff, you'll only need just a little bit for your whole face and it is the best cleanser she claimed. Ingredients. Almond Oil, Rose Water, Beeswax, Honey, Fresh Iris Extract, Glycerine, Rose Absolute, Tincture of Benzoin, Methylparaben and Propylparaben. My truth: I don't like it nor hate it. Because of the texture it is hard to spread over your entire face, even though it will melt of the warmth of your fingers. I feel like it does takes of my makeup but not quickly or thoroughly enough. After I have massaged Ultrabland on my face to remove my makeup and then use a hot damp cloth to remove everything, I feel the need to go with a normal cleanser over again to remove the remaining residue. So, I can use it as a makeup remover only in a double cleanse. However, if you ask me, I would prefer a face oil instead of a balm. An oil is already soft and goes on your face much more quicker, smoother and even more effective to remove any dirt than a thick balm. I will use it up, but I will not repurchase again. HERBALISM. Herbalism is another facial (and body) cleanser, which claims to cleanse the skin, leave skin bright, clean, balance and revitalise. The girl at at the store had acne too and she passionately recommended this cleanser for me, since I am acne prone. 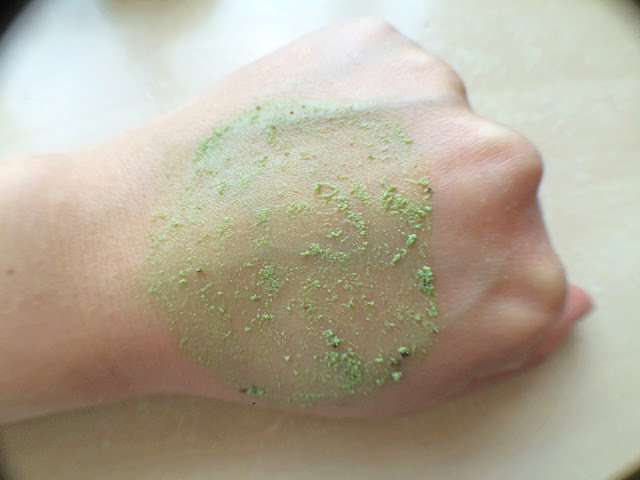 It is a grass-green dry clay/powdery substance that in combination with a small amount and a bit of water it will turn into a little paste. Then you need to apply it and massage it into your skin. 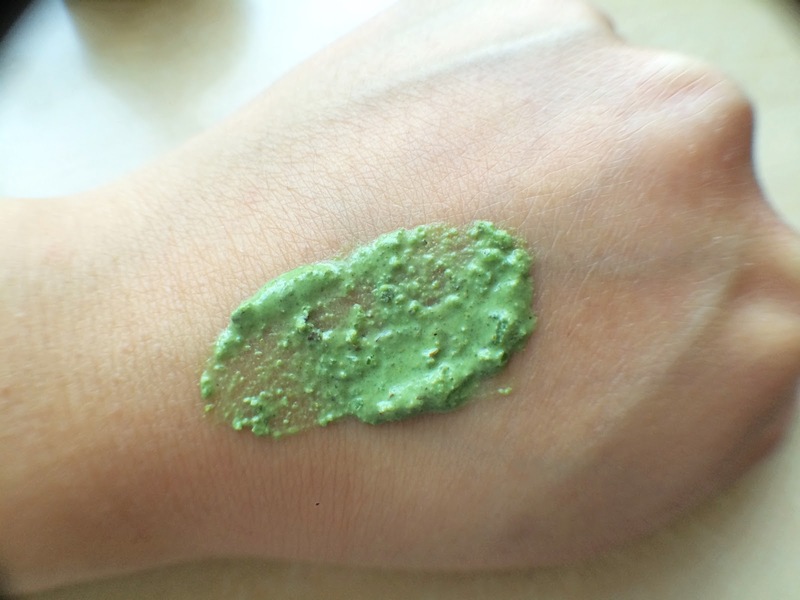 There is a scrub, which consist of grounded almond for an exfoliate factor. It smells like rosemary and a bit herbal (thus the name). Ingredients. Ground almonds, kaolin, glycerine, chlorophyllin water, nettle, rosemary and rice vinegar extract, rice bran, gardenia extract, rose absolute, chamomile blue oil, sage oil and perfume. My truth: Not effective for my skin. I have used this for a long time, 40% of the product, twice a day, but in the end my skin condition stayed the same, if not a bit worse due to all the black/white heads and heaps of spots. Simply, because the excess oil stayed on my skin and clogged my pores, thus the pimples and acne. My oily skin didn't improve at all. First, I thought this might be something for me, but in the end this is not for my skin, because it isn't strong enough for my skin type and didn't control the oil produce at all. Another thing that I don't like this is that it makes the sink super dirty with all the loose particles. I am using it up, but merely as an exfoliant in conjunction with another cleanser. BREATH OF FRESH AIR. Also on the recommendation of the Dutch beauty blogger I have bought this toner. It is their most refreshing toner to tone and balance the skin. You can spritz it directly on face or as I prefer, spray some on a cotton pad and sweep it over my face. It is transparent and smells very fresh like the sea and seaweed. Ingredients. Spring water, fresh sea water, fair trade organic aloe vera gel, perfume, carrageenan extract, rose absolute, patchouli oil, rosemary oil, seaweed absolute, limonene, linalool and methylparaben. My truth: A very basic toner. I go through this toner very quickly, because I like a damp cotton pad. I think this is a very basic toner that removes the left over dirt traces and balance my skin a bit. This is definitely not a game changer, but can be nice for refreshment. TEA TREE WATER. After I run out of Breath of Fresh Air quickly, I went over to the store to grab another one. This time I was recommended the Tea Tree Water toner, since it is specially for acne-prone skin. It claims to be antibacterial and helps to keep your skin clean, clear and refreshed. It smells fresh with a hint of tea tree. Ingredients. Tea tree water, grapegruit water, juniperberry water, limonene, perfume, methylparaben. My truth: Again, a very basic toner. Honestly, I didn't see see any improvement of my acne despite their antibacterial, clean & clear skin claims. So again, this is a very basic toner that didn't do much for my skin. It is just again, a very basic toner. 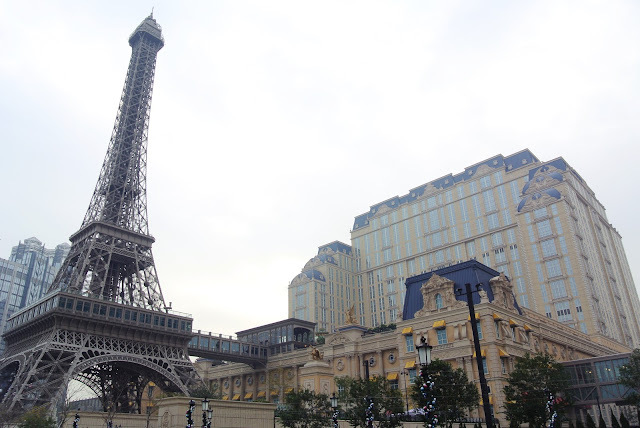 IMPERIALIS. 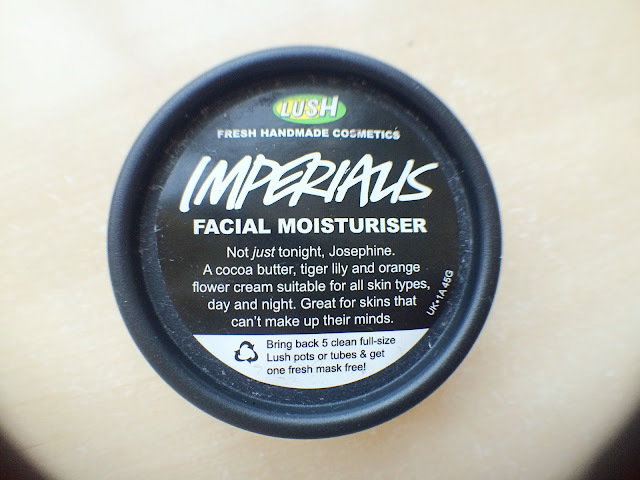 I have received two moisturiser samples to try out and in the end I went with a full size Imperialis because the other one did simply nothing for me and the girl suggested that this one is the best of all moisturisers. It claims to restore and revive your skin and great for skins that can't make up their minds, apparently. Ingredients. Lavender Flower Infusion, Mullein Leaf Infusion, Orange Blossom Water, Organic Extra Virgin Olive Oil, Stearic Acid, Fair Trade Shea Butter, Fair Trade Organic Cocoa Butter, Glycerine, Cetearyl Alcohol, Orange Flower Absolute, Brunello Lily Petals, St Johns wort extract, elderflower extract, sweet violet extract, sunflower petal extract, alkanet extract, triethanolamine, methylparaben, propylparaben. 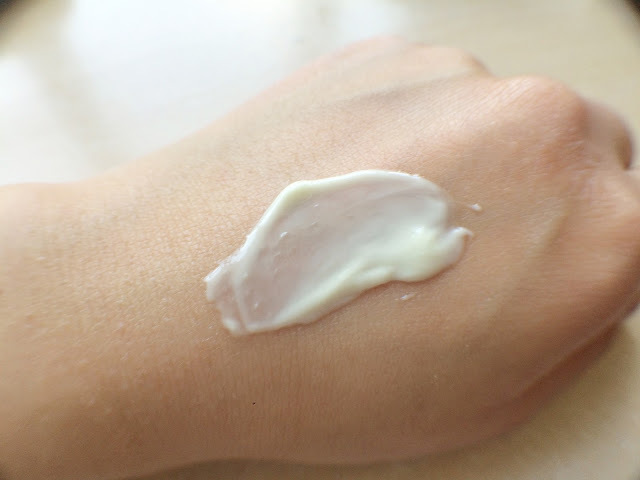 My truth: Basic moisturiser. I can't say more about it then it's a light weighted moisturiser. At first, the effect of product was a very hydrating and plumping, but that was only an impression of the first few times. 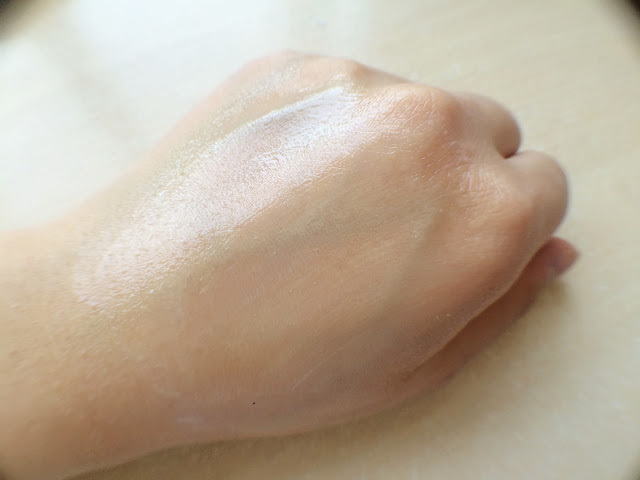 Later on, it turns into a very basic light moisturiser. Nothing too rich or amazing. It absorb pretty quickly and doesn't leave a sticky feeling. I do sense that this moisturiser clog my pores a little bit. Will use it until I have found another suitable moisturiser, but otherwise I would not use it up. Final Verdict of Lush Skincare: didn't do anything improving for my skin. 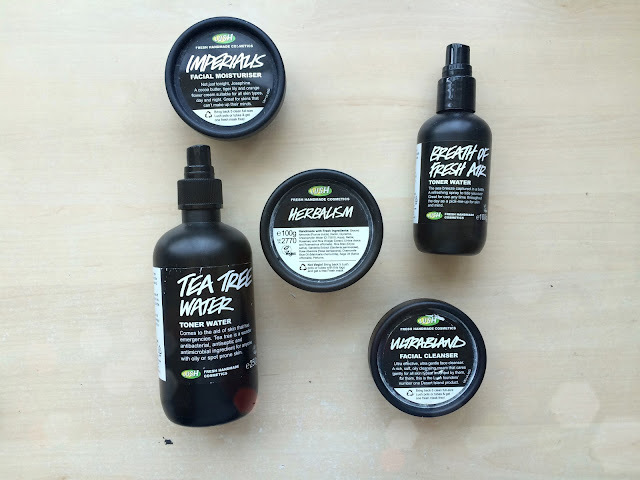 I have bought, tried and reviewed several Lush skincare products so I can say that overall, I like that Lush products use natural ingredients, are handmade, don't test on animals, are relatively affordable have unique products, cute stores and have really friendly and helpful staff. The risk of buying and trying out their products is therefore minimum. Don't forget to mention that they are very generous in giving samples when offered or you just need to ask them! I like the little pots and tubes, which you can recycle them in store or reuse them as the perfect travel sizes. I know there are many Lush skincare fans, but I'm not one of them. The effectiveness of the products is low for my oily, acne-prone skin. I have tried several samples of their masks for acne too, but still I don't find it very skin improving. Also, because they claim to use fresh ingredients, not all of their product can be preserved for a long period time. As in performance, again I can't really say that their natural ingredients has worked for me. Not one of their products has broken me out or given me an allergic reaction luckily, but they didn't really work or improve my skin either. For me, they don't do any improvement. Maybe, it is suitable for you if you don't have a problem skin like mine. Sorry Lush, your skincare is not for me.